~ 20% discount when you spend £120.00 or more. 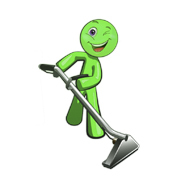 ~ The minimum outgoing charge for carpet cleaning and upholstery cleaning is £45.00. in cleaning of your home or office.